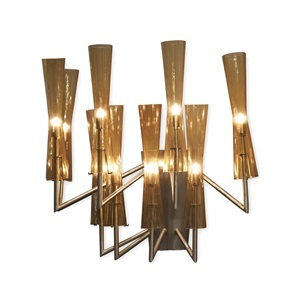 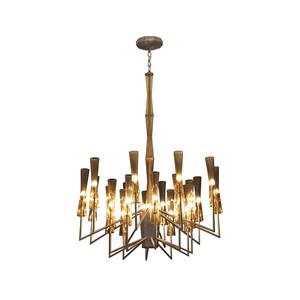 Uplift your interior’s luxury status with this exquisite piece from Visionnaire. 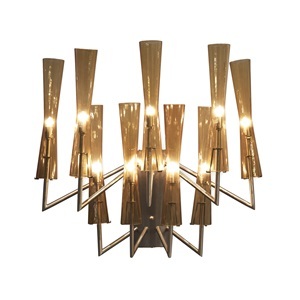 Its bold yet delicate art deco-inspired silhouette is formed by 20 arms over two levels. 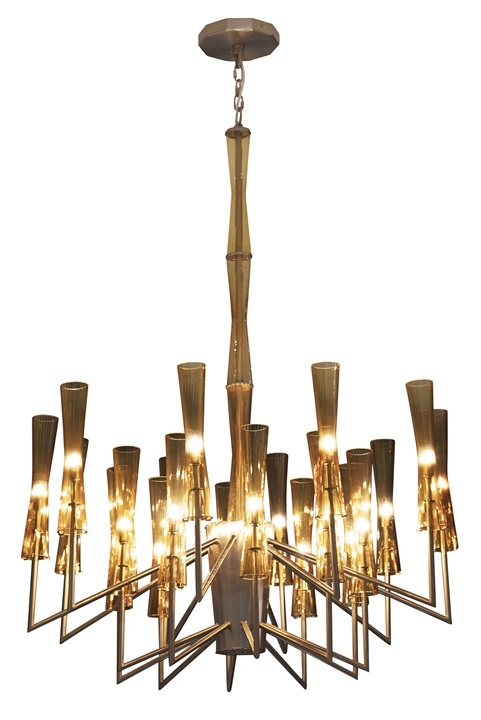 Brown hourglass shaped lamp shades soften the glow and add to the piece’s vintage feel. 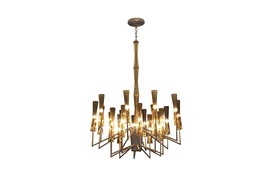 The angular arms, meanwhile, offer a contemporary edge. 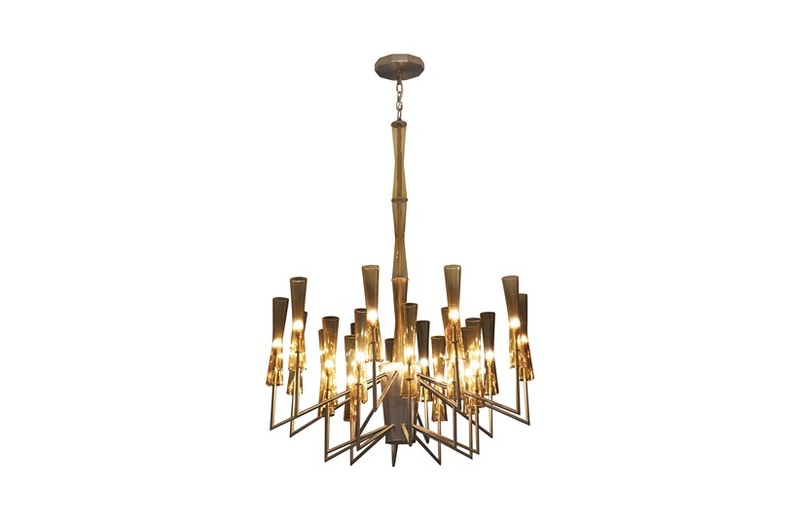 Meticulously handcrafted in Italy, the Dean chandelier is designed to compliment other Visionnaire pieces and is perfectly suited to both modern and traditional interiors.